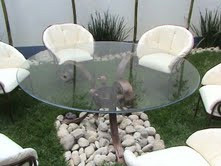 Fountain Dining Table, includes four chairs. 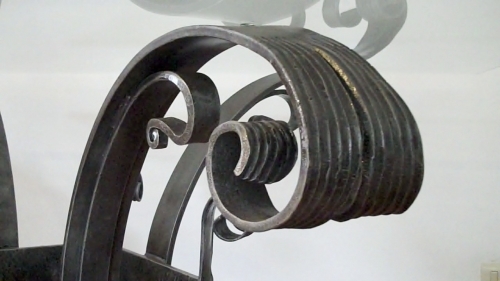 Wrought Iron Art and excellent feng shui all in one. This solid yet hugely comfortable dining room features wonderful rounded design in every detail -- no sharp edges anywhere! 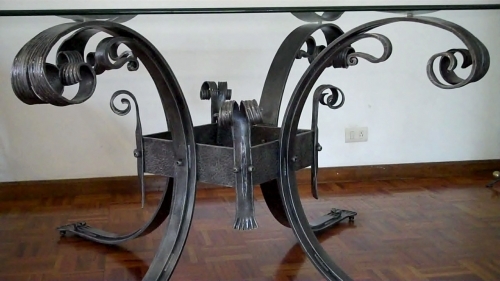 The wide table base has wonderful curves and is evocative of a prosperous fountain. Plush chair cushions complete the look of understated inside or outdoor elegance. Add this durable ensemble to your Mexican dream home and let the abundance flow! Diameter is 1.1 metres and includes four chairs. Ask us about a 1.6 metre version designed for six.